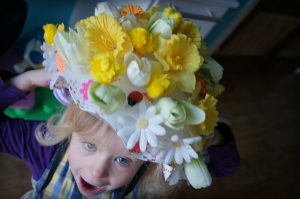 Mum’s, dad’s, grandma’s, grandad’s and not forgetting children – get your glue guns, feathers, pom poms and glitter at the ready as it’s that time of year again – The Easter Bonnet competition!!! And just so the parent/carers don’t feel left out – we have our first ever Parent are Quackers! Egg decorating competition for you to take part in. Children should be encouraged to make their own Easter bonnet and parents can decorate hard boiled eggs to enter into the competition – they can be as creative and wacky as you want them to be. We eggs pect some Egg-cellent entries again this year – good luck everyone!